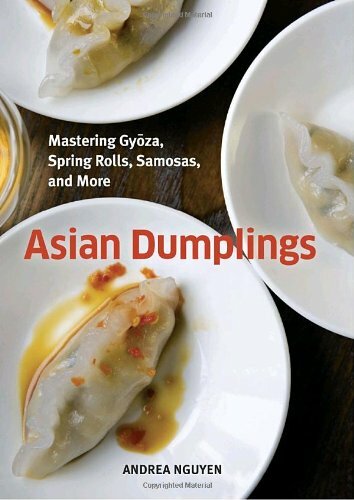 Feeling inspired to make your own appetizers?Â These cookbooksÂ share recipes of some of the best and most popular appetizers from around the world. 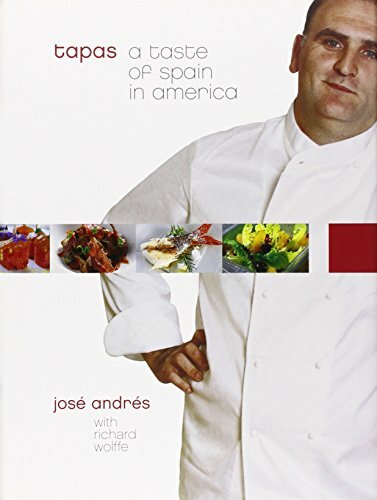 These books on culinary travel will take you to places known for great food and will help inspire you to try eat and cook dishes from new cuisines. Some of my most memorable meals have been ones where I sampled a range of flavors and ingredients that took me on journeys through famous culinary destinations. The chefs were masters at creating appetizers for a crowd, and even the pickiest diners could find enough to keep their tummies happy. Call me a glutton, but why settle for one big dish when you can try several small plates of food? The tapas craze has travelled beyond Spain to restaurants all over the world attempting to create their own versions of small plates. Many fail miserably because the food is pretentious and presented as tiny morsels at ridiculous prices. Culinary powerhouses like France and Italy have hors d'oeuvres and antipasti, but they’re both meant to be served as first courses before the main course arrives. However, there are a few culinary destinations that have their mealtime cultures rooted in the small plate tradition, and the sheer variety encourages diners to select as many appetizers as they want to make up a complete meal. This kind of meal is perfect for sharing with friends and family but a few small plates are also great when accompanied with drinks. The following destinations are famous for their small plates culture. Credit: http://www.flickr.com/photos/franck-chilli/5955534214/Tapas bars can be found throughout Spain and you’ll find Spaniards munching on tapas any time of the day. While tapas restaurants have sprung up all over the world, to appreciate the true tapas experience, you must do a tapas bar crawl in a Spanish city at night. Drop in at a bar, plonk yourself down at the counter and order tapas dishes that look interesting, or sit at a table and browse a menu. Try one or more bite-sized plates of food with a glass of wine. When you’re done, move to another bar and repeat till you’re full. If you’re not deliriously happy by the end of it, you’re doing something wrong! You’ll find local favorites like cured ham, cheeses and squid tentacles, and if you don’t speak Spanish you can just point. Credit: http://www.flickr.com/photos/maong/4464729812/It can be hard for tourists to find authentic Venetian cuisine restaurants in Venice and most charge exorbitant prices. However, there is one tradition that still stands strong in the back streets of the city. Cicchetti bars are tiny places that almost seem to hide from tourists in fear, for should they be discovered by these trespassers, they would be forced to adapt to tourist taste buds. In the old days, portable wine bars could be found in St. Mark’s Square, but those have made way for pigeon feed sellers catering to photograph-posing tourists. At the end of a work day, locals line up at cicchetti bars and fill up a plate with a variety of snacks to go with a small glass of house wine. Each snack comes either on a stick or on crusty bread and they’re displayed at the counter of the bar. Try deep fried mozzarella or gorgonzola, artichoke hearts, marinated seafood, olives, prosciutto with melon and lots more. The interesting decor in most bars evokes a bygone era of old Venice. Unlike tapas bars, cicchetti bars don’t stay open very late, as it is usually an afternoon and early evening tradition. Credit: http://www.flickr.com/photos/brettlider/57726456/This Chinese tradition comes from Canton, where rural workers and travellers would visit diner-like establishments to drink tea and eat a small snack. Now, dim sum has become a weekend family lunch tradition among Chinese, and Chinatowns all over the world house dim sum eateries serving appetizers for a crowd. While some establishments in the western world allow diners to select their dishes from a menu or present dishes buffet-style, many still do it the old way. Trolleys loaded with steaming baskets and plates of tasty morsels make their way between tables, and diners point at whatever looks good. A bottomless pot of tea helps wash down translucent dumplings, steamed buns, pot stickers, pastries and more. Some of the dim sum dishes are quite exotic in ingredients and flavors, and trying to ask the speedy waiters for a description in the ever-present cacophony can be an exercise in futility, but part of the fun of the dim sum experience is about being adventurous. Along with the popular pork, shrimp, beef and chicken, you’ll find chicken feet, pig’s ears, tripe and much more! 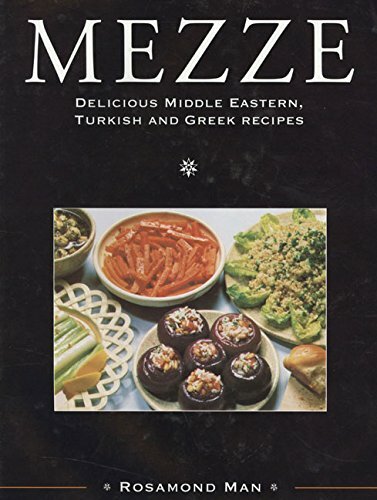 Credit: http://www.flickr.com/photos/avlxyz/3483488082/Meze can be found in many Mediterranean and Middle Eastern countries, where the small plates make up an entire meal or are only served before the main course. Each culinary destination has its own offering of meze, but the most common ones include dips, like hummus, tashi, tzatziki, muhammara and babaghanoush, white cheeses, olives, falafel, dolmades, bite-sized grilled meats and seafood, and salads, like tabbouleh and fattoush. Everything is cooked in or drizzled with pure olive oil, and anise flavored aperitifs are commonly paired with the meals, although simple wines are also popular. Restaurants that specialize in meze in these countries seem to want to outdo each other, as the variety on offer can sometimes overwhelm. Ordering appetizers for a crowd is the best way to sample as much as possible. Service always starts with lighter fare arriving in a group of 3 to 4 dishes before moving on to heavier vegetarian dishes and ending with meat and seafood meze. Credit: http://www.flickr.com/photos/24736216@N07/6359935299/The smorgasbord is probably the most well known of all the Scandinavian culinary traditions, but the huge spread that is common today is really one that has evolved over the years. A smorgasbord meal is served buffet-style, where diners can sample smorgasbord food, like herring and potatoes, crisp bread, warm and cold fish dishes, gravlax (salt-cured salmon with dill and sweet mustard sauce), salads, cold cuts, roast meats, chicken and egg dishes. Of course, no smorgasbord menu is complete without meatballs served with lingonberry sauce and more potatoes. The locals like their food with a cold shot of vodka or aquavit, and there’s local cheese, fruit, desserts and coffee to finish off the meal. You’re expected to use clean plates every time you make a trip to the buffet table, and it is best that you sample the food in a logical order. Some fine dining restaurants let you select dishes from a smorgasbord menu and serve them to you on a platter. Sushi has come a long way from its country of origin. Californian sushi restaurants seem to create a new type of roll every month, with an anything goes philosophy. 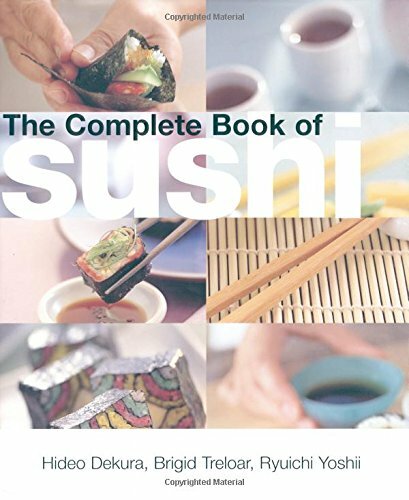 Sushi restaurants can be traditional, where you order your dishes from a menu and wait, or they can be fast food style. The latter uses a sushi train or conveyor belt to push out small plates of various kinds of sushi. The train passes by every table or counter seat so diners can pick up any plate they like and stack empty ones to indicate what they’ve eaten when it’s time to pay. Some sushi restaurants in Japan have taken the concept one step further, where one or two train carriages run on parallel tracks. Every table is a station with a touch screen ordering pad that serves as the sushi train menu that diners can use to order special items not found on the train. Some restaurants that promise only fresh sushi use RFIDs or a similar system to ensure a plate of food hasn’t been sitting on the train too long! Along with nigiri sushi (piece of raw fish on a bed of rice), maki sushi (raw fish and other ingredients rolled in rice and seaweed), and other delicious morsels, little cups of green tea also board the train. You'll probably find the experience amusing and the fresh sushi delicious. So if you’re ever in one of these great culinary destinations, and either looking for lots of appetizers for a crowd or just a few small plates of food to keep you satisfied till your next meal, you won’t go wrong when you step into a bustling restaurant that specializes in the local small plates tradition. Great article! Meze is my favorite Appetizer :) Thumbs Up! Thanks for opening up this world of apetizers. I was not at all familiar with the first three. Very interesting and informative. Congrats on your feature! If you ever get a chance to visit a restaurant that specializes in small plates, definitely try it out. They're not limited to their countries of origin. Thanks for reading! I have yet been to a Tapas restaurant. I like the concept of trying many different kinds of food without ordering a full entree. This restaurant concept is very popular in Long Island New York. Thanks for reading. The only one on this list I haven't tried is Cicchetti from Venice even though I visited the city for one day. At that time I didn't know about their small plates and we mostly stuck to the main tourist areas which only have overpriced restaurants. If you can make it to Queens, I recommend El Boqueron in Astoria - I went there twice many years ago. Another place I've only heard is good is Sevilla in the Village. In Toronto, I thoroughly enjoy Dim Sum for Sunday brunch with friends. (Love those steamed buns). Once I became allergic to seafood, I had to steer clear of the sushi places, though. But I am hoping to try a vegetarian Meze soon. And I have yet to try Cicchetti. Thank you for introducing me to some new appetizers (I sure love to try out new foods). Thumbs, G+d, pinned, etc. I love Dim Sum and Meze too. I sometimes think I eat a bit too much when I have lots of appetizers just because I don't want to miss out on anything :( Thanks for the shares! I've visited Barcelona too! Where abouts are you from?